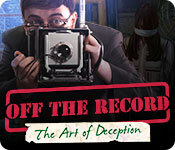 Off the Record: The Art of Deception is rated 3.9 out of 5 by 10. Rated 5 out of 5 by Yanie1020 from Eipix Has Done It Again! This game has it all, including nice music that changed from scene to scene. Puzzles were mostly good, graphics excellent, voiceovers (with a heavy accent that was amusing) were fun, and I even enjoyed the HOS's. I loved the way Eipix has us improvise with different inventory items. I've always wondered why most developers make you use the exact item (screwdriver, knife, etc.) to perform different actions, when another item will work just as well. The developers really turned it up a notch in this game, so try your inventory items in odd places because it might just pay off for you. Great game! I'm at the point where I automatically buy all Eipix games now. No need to try them out first. Rated 5 out of 5 by robertmontgomery from Very entertaining without the usual occult junk Big thank you for giving us a visually stimulating, engaging storyline and fun game. No red eyes or demons, no ghosts or paranormal garbage, just a straight detective who done it mystery. The mini games were different and sometimes very challenging. Just a breath of fresh air to no be bombarded with devils, death & creepiness. Hope more of this family friendly type game is offered again.. Rated 5 out of 5 by denniann2 from a game of art forgery and trying to prove it you are felicity adams and are known for your investigating skills. you have been brought in to prove that there was an art forgery scam going on. you do have an interactive map and a journal. a custom level. you have to track down the young lady that has been commissioned to do the forgery under the guise of restoring the painting. the original leads to a treasure? and that is why the thieves want that one. a good game that i enjoyed playing. great graphics and the HO scenes are not crowded. Rated 4 out of 5 by bessiegirl from a challenge Its hard to say whether the gameplay wasn't really smooth or the challenge was in finding all the little clues at the right time to move the game along. I hardly ever have to use the hint but this game had me using it more than I would have wanted to. You had to be sure you covered every little inch of space to make sure you picked up or "stimulated" everything that would unlock another step and this included the interactive items in your inventory....everything was connected. HOS were easy and enjoyable as some contained HOS within the HOS. Puzzles were at times very easy and at other time difficult mostly because the instructions or gameplay was not real clear. Since you could set your hint and skip to refresh quickly in the Custom setting, it really helped me skip over the confusing puzzles and move along. I demoed and bought this and then returned about a week later so I had to catch up on the storyline a bit, but found it to be a new one which was refreshing. The voice-overs were OK, except those with those very bad accents. I almost always turn the music off, so not sure whether it was as annoying as it usually is or not. I found the game to be a challenge and I'm a fairly seasoned player. The transporter map was definitely necessary as you did move around a bit and if you missed something somewhere at least it took you back to look. I would recommend for those who enjoy a challenge, however it might frustrate a beginner. Rated 4 out of 5 by iamnobodyhahaha from BEAUTIFUL GAME!! One of my favorite games from eipix. The first half of the game is beautifully done. Visual effects, cut-scenes, music everything is perfect but the game play in the end became a bit boring. I'm not a museum/library lover so i don't really like searching for hidden things in these places. But overall this is a good game! Rated 4 out of 5 by PATinPNS from Ms Adams, Does it Again This is posted after playing the entire game. Yes, I had to raid my sister's wardrobe again and steal a dress to be Ms Adams, but this is another good one from Eipix. This was good for a nice afternoon. It was enjoyable with all the various games within the game that kept me interested. As usual, the graphics are great and the audio fantastic. I always turn the music down low, but what I did hear went along with the action. One day I will understand the voice over boxes, but it is acceptable. They did a good job with the dialects. The story is based in Austria, and they sure sounded German to me. The challenge... I have to admit the mini games were rather simple, because I played most of them. I just don't have the patience for a lot of that stuff, but if I do them they aren't mind benders. 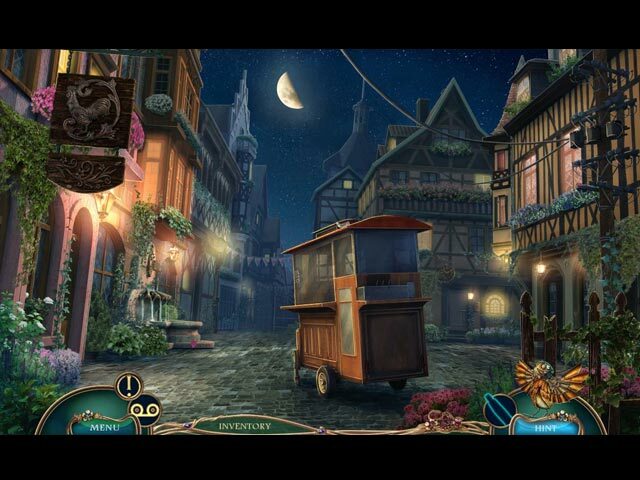 The hidden objects were varied. You have the list and the pictures to find. 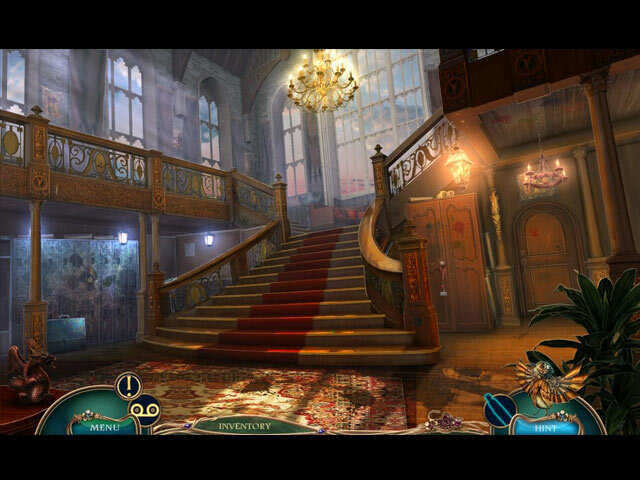 You also have mini games within the hidden object scenes. It was really varied and I like that. I have to say, I did have a little trouble figuring out what they wanted at times, but eventually I got it. The hint and skip buttons recharge quickly and the interactive map was a must for me. There is a lot of back and forth, but the map makes it easy to get where you're going and where there are things to do. Story was interesting. I was a bit disappointed in the ending, but the rest of it was okay. Rather easy to follow and was true to itself. Big Fish does a good job explaining the story so I won't go into it here. All in all I'm glad I bought it and look forward to playing it again. Give it a try. I think you'll like it too. Rated 4 out of 5 by pennmom36 from Lela's Blight Leda's Blight, is a stunning masterpiece that has been missing for years. Recently, to the delight of art enthusiasts everywhere, this incredible painting has resurfaced! With the auction coming up, collectors are chomping at the bit for the opportunity to place a bid on this beautiful work of art, but first the painting must undergo a serious restoration. Lisa Steiner agrees to return to this quaint little town in Austria, after 20 long years, to masterfully restore this original painting, but is it truly the original? Felicity Adams is the only journalist who has been able to interview Lisa, a known recluse. Your journalistic instincts are telling you that Ms. Steiner is being deceptive, or perhaps manipulated...this is clearly an art of deception! I will admit that this game starts out too slow and cheesy, but it really does improve. If you're looking for more than this Standard Edition has to offer, consider the Collectors Edition which has an abundance of Achievements available to earn, Morphs, and 17 hidden letters to find which unlock special features. Both Editions have inventory items with plus signs indicating further action is required before using that item, including some very intriguing puzzles! 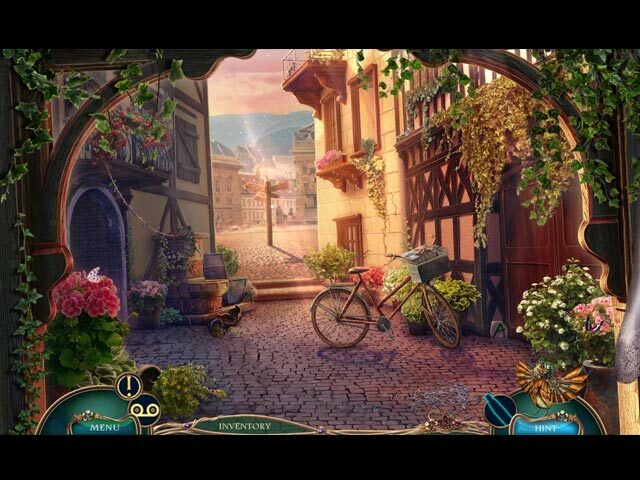 The Hidden Object Scenes are varied, some are your typical interactive list finds, and even scenes that scroll one scene to the left or one scene to the right as you are tasked with finding 12 flowers, 6 birds and 3 cats, but I found this HOP too easy and scrolling left and right constantly became a tad bit annoying. There are even mini HOP's within zoomed in areas where you find a few items that match a sketch or silhouette. The Mini Games were pretty decent, although some were mind bending puzzles where you had to use directional arrows to slide half sections of different sizes to the middle, stacking the sections from the smallest to the largest. I enjoyed the mini game where you had to click on every honeycomb section to light them up, but there are several red honeycombs which require you to click on them twice without backtracking! The Collectors Edition has Movies, Music, Behind the Scenes, replayable HOP and Mini Games, Pictures, a Souvenir Room, a Painters Den, Achievements, Morphs, a built in Strategy Guide and a Bonus Chapter, either one is packed with entertainment, enjoy! Rated 2 out of 5 by moonladydi from Horrible game I've rarely suffered with motion sickness since I reached adulthood, but this game made me feel quite queasy. The Map was ok, but the Hints were virtually useless, and I had to skip most of the puzzles. I usually find something to encourage me to buy at COTW prices, especially with Bonus punches as an extra incentive, but I found nothing fun here. Rated 2 out of 5 by bristolblue from Tedious. Too much back and forth searching for items, hidden object portion weak.